On Thursday morning I am pending in the shade of the lime-trees. 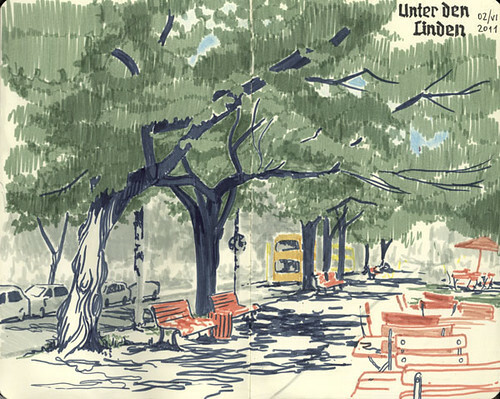 Suprisingly empty Unter den Linden. love the shadows of the trees. Rolf and Flaf - thank you!